“No, no, no Statoil” bellowed the headline on one of the many responses in Norwegian media this week to the Norwegian oil company’s proposal to change its name. 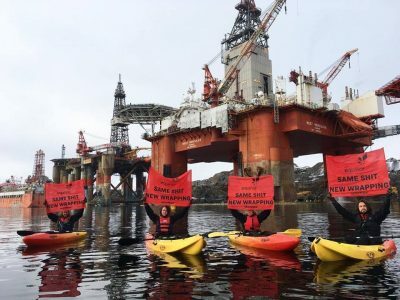 Now even Statoil’s founding chief executive, Arve Johnsen, is mobilizing opposition to the name change, claiming it’s a poor attempt to veil some of the climate- and environmentally unfriendly realities of the company’s core business. 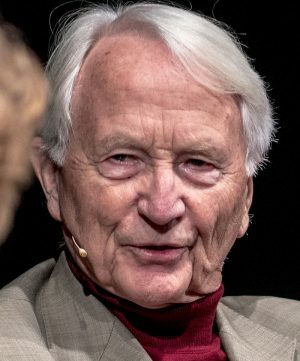 The now-84-year-old Johnsen was made responsible for starting up the Norwegian state’s oil company in 1972, not long after oil had been discovered on the Norwegian Continental Shelf of the North Sea. Johnsen, who was one of the Norwegian Labour Party’s most highly educated young men in the 1960s, had become a state secretary in the ministy for industry in the early 1970s, and was thus tapped to establish Norway’s own oil company among all the foreign firms that were flocking to Norway’s new oil fields. It was Johnsen who came up with the “Statoil” name himself, to reflect both its state ownership and its oil business. 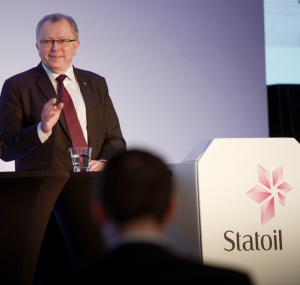 Statoil grew in both size and stature under Johnsen’s leadership. He was forced to resign in 1988, after large budget overruns tied to the rebuilding of Statoil’s refinery at Mongstad, but is still widely referred to in the oil industry as “Mr Statoil.” Johnsen told newspaper Dagens Næringsliv (DN) this week that he’s aware he can be viewed as a meddlesome former patriarch of Norway’s largest and most important company, but he couldn’t keep quiet about his deeply rooted opposition to the current management’s decision to change the company’s name to “Equinor.” The new name is meant to stress both “equilibrium” or balance within its activities, along with its base in Norway. “I’ve read your story about how the Statoil name was formed. It has served us well in all the years since, and we are proud of everything that’s been created. But there’s a time for everything. 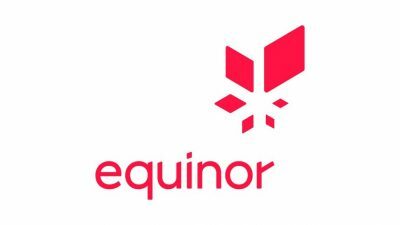 Tomorrow we will announce a name change,” to Equinor. Absolutely no support was forthcoming. Johnsen told DN that his immediate reaction was to think: “Is it possible to come up with such an irrelevant proposal?” Out of respect for Sætre, Johnsen initially refrained from voicing his objections, but on Sunday he sent a long email to Sætre that also was published in DN on Tuesday. 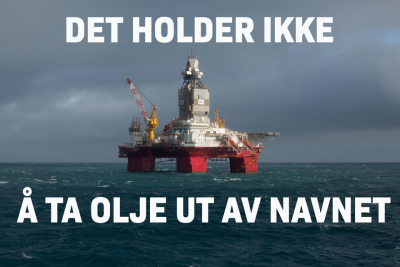 He’s convinced that the only intention behind the proposed “Equinor” name is to conceal the facts that the company remains mostly state-owned (67 percent) and that it mostly produces oil and gas. “What has become of ethics?” Johnsen wonders, while worrying that Statoil is also trying to make itself more appealing to both investors and young people who may not want to work for an oil company. The man whom many in the industry still call “Mr Statoil” is also highly critical of how Statoil expects to spend as much as NOK 250 million (USD 33 million) on the name change. “That’s throwing away money,” said Johnsen, who once oversaw spending just NOK 50,000 on hiring a local firm to develop Statoil’s long-time logo that signified an oil flame. It was blown out and switched to a pink star a few years ago, and Johnsen claims Statoil now faces a huge loss of goodwill tied to its present name and its position in the market. Johnsen is far from alone in his objections to the name change. In addition to all the media noise, labour organizations representing employees greeted the announcement with head-shaking and even laughter as they tried to pronounce the new name chosen by Sætre and his colleagues. In addition to the labour objections voiced to DN, several top Norwegian politicians are also unhappy. Oil Minister Terje Søviknes of the Progress Party has already been summoned to Parliament to account for the name change that the government, with its 67 percent ownership stake in Statoil, has already approved. Prime Minister Erna Solberg of the Conservatives has said she doesn’t want the govenrment to get involved in “steering the details” of Statoil’s management. Nor do most of the other parties in Parliament, but Labour wants the name change to be cleared by a majority in Parliament, not by the minority government coalition. Two of Johnsen’s fellow former CEOs of Statoil, Olav Fjell and Harald Norvik, said they didn’t want to comment on the name change. “I have been careful not to comment on anythings around Statoil since I quit,” Fjell told DN, “therefore I won’t engage myself in the debate.” Current Statoil officials are on the defensive, and deny Johnsen’s and Skivenes’ claims that they’re trying to gloss over the dirty aspects of their business. “Our starting point is that there are fundamental changes taking place in the energy picture, and the future will be different,” Bård Glad Pedersen, a former politician and state secretary for the Conservatives who returned to his job as press spokesman for Statoil, told DN. The company now refers to itself on its newly revamped website as “an international energy player,” not just an oil company. He added, though, that “we have laid a strategy to develop into a broad-based energy company. I see that Arve Johnsen is critical to that, but the strategy is well-anchored, also politically.” Pedersen claimed the company “over time” will increase its investments in renewable energy. The Statoil spokesman received some support for his views from Magne Supphellen, a professor of marketing and economics at the Bergen-based business school Norghes Handelshøyskole (NHH). Supphellen wrote in DN on Wednesday that the proposed name change was not just “sensible” but also “completely necessary,” and should have come much earlier. He dismissed initial objections as predictably negative, because “folks easily become a bit grumpy” when changes are made in familiar things they hold dear.